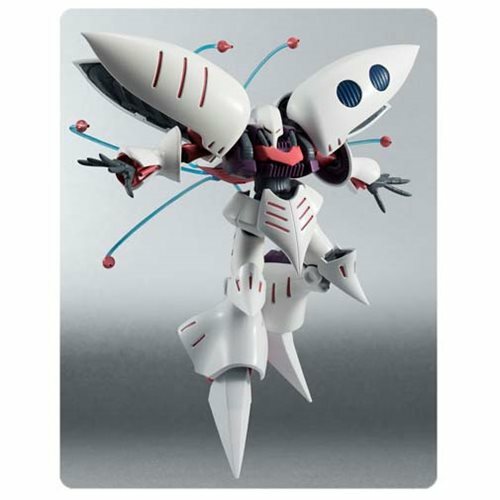 Designed specifically for Newtypes, this mobile suit Qubeley was featured in both Mobile Suit Zeta Gundam and Mobile Suit Gundam ZZ. Open the wing-like shoulder structures and you can pose Qubeley as the small, yet formidable, fennels are released for battle! Set includes 6 fennel effect parts, 4 interchangeable hands, 2 beam sabers, and 2 large beam sabers. Measures approximately 5-inches tall. Ages 15 and up.